Will Holland is a Senior Software Engineer for ThreeWill. Will has proven to be adept at understanding a client's needs and matching them with the appropriate solution. Recently he's developed a passion for working with .NET, MVC, and cloud-based solutions such as Microsoft Azure and Office 365. Engaging with business users to turn verbal descriptions for a newly requested form into Agile friendly user stories and acceptance criteria for the development team. 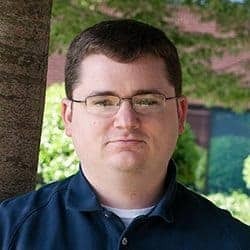 Understanding existing architecture and design patterns for an unfamiliar Angular application. Combining understanding of user stories and existing application to design UI for new form and communicate design implications to development team. Assigning and monitoring sprint tasks for development team to ensure delivery of product stayed on schedule and budget. Designing and implementing a complete rewrite of an automotive services web application. Developer for a cloud based onboarding solution that requires about 15 hiring managers to review around 2400 applicants and then hire and terminate over 800 seasonal employees a year. Design involved Azure for external (applicant / seasonal employee) access and SharePoint Online for internal (hiring manager / HR) access. Custom list and views that were synced between SharePoint and the Azure database. A custom SharePoint state machine workflow for handling time-based events. Custom SharePoint ribbon buttons for performing bulk actions on applicants and seasonal employees. CORS REST calls to Azure. Azure Web Sites and Azure Databases. SendGrid Azure add-on for sending emails (including mass emails). An App Installed remote event receiver for setting up SharePoint list security. A custom database-driven state machine workflow. Integration with a third party talent scoring agency. Responsive (mobile first) MVC 5 with Razor forms and Bootstrap. Developed migration path for a content database migration from a WSS 3.0 Farm to a SharePoint 2013 Foundation farm. Worked as a member of an international team. Allowed users a near 1:1 feature comparison as the actual web site. Created custom feature event receivers to create OEM specific subfolders in a document library. Created custom list item event receivers to add or update items in a separate corresponding list. Created custom HTML reports based on CAML generated XML using XSLT. Created and configured new site collection based on a custom site template. Migrated existing site collection from a development environment to a production environment. Helped to resolve Kerberos security issues that arose due to the migrated site using different Service Accounts from what was permitted on the production server. Installed and configured PowerPivot for SharePoint 2010. Defined and created multiple site columns, content types, and list instances. Dynamically created site pages that used a WebPart to display requests based on specific list views. Created a custom attachment feature that was used on a custom WebPart. Created a series of Microsoft SQL Server SSIS packages that automatically enrolled customers into the system once the information was provided. Developed a separate SSIS package to withdraw customers defined as ineligible based on certain criteria. Created stored procedures to automatically detect changes and update stored customer information. Visual Studios, SQL Server, SharePoint Designer, Microsoft InfoPath 2010, Subversion (TortoiseSVN), Team Foundation Server. Software Development Lifecycle, Agile/SCRUM, Microsoft Solutions Framework, Object Oriented Programming, Test Driven Development, “Blackbox” Testing, “Whitebox” Testing, Boundary Testing.